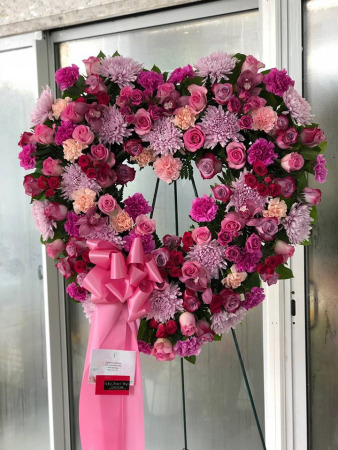 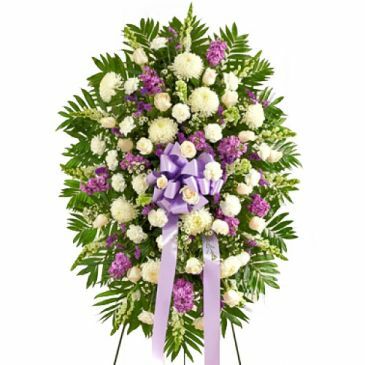 Beautiful flowers such as light pink roses, hydrangea and miniature carnations mix with lavender chrysanthemums on an open heart-shaped wreath. Approximately 18" W x 19" H.
A stunning display of pink roses handcrafted and designed into a lovely casket piece. 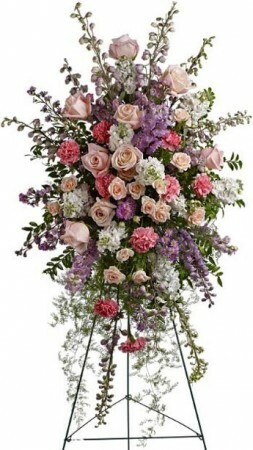 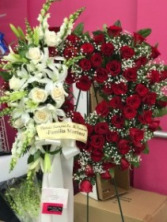 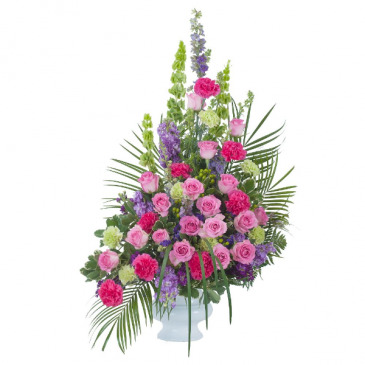 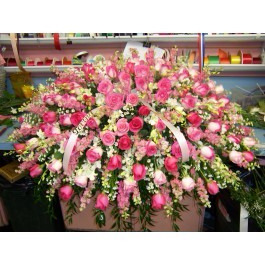 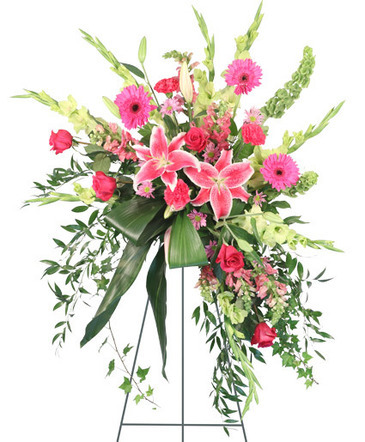 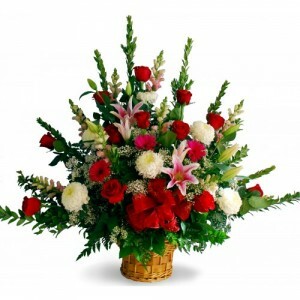 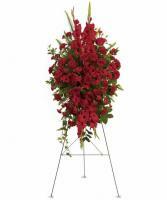 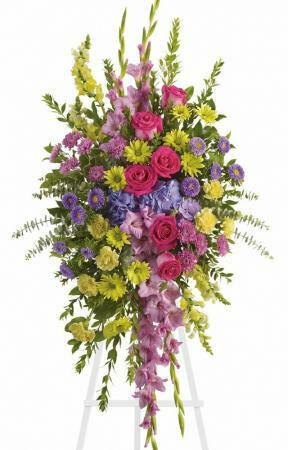 All roses, in shades of pink...create an elegant and beautiful display of love and sympathy. 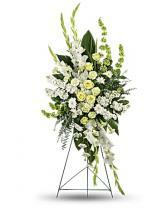 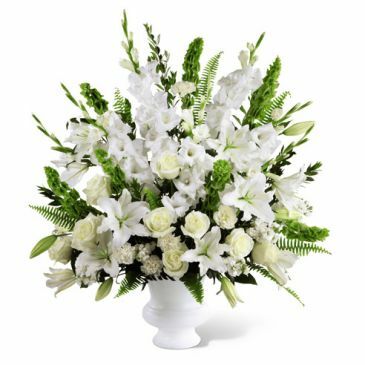 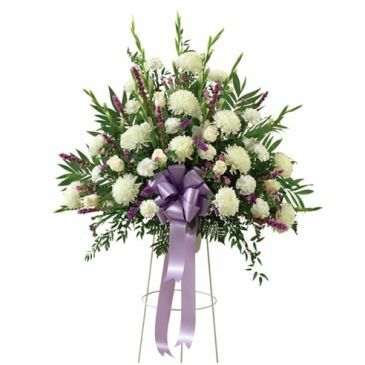 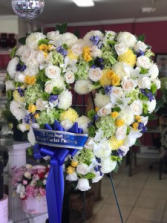 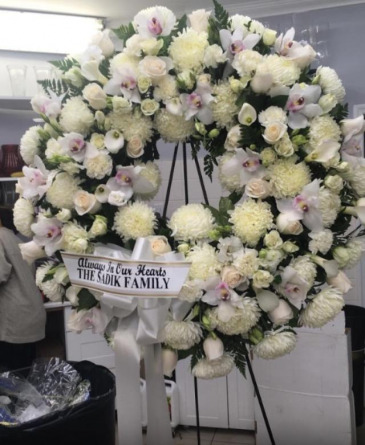 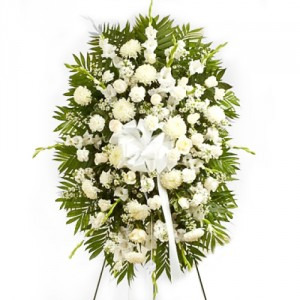 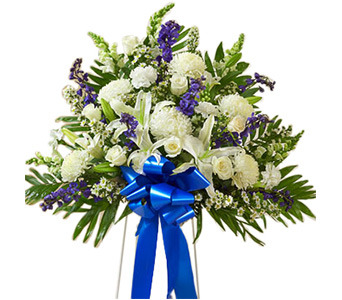 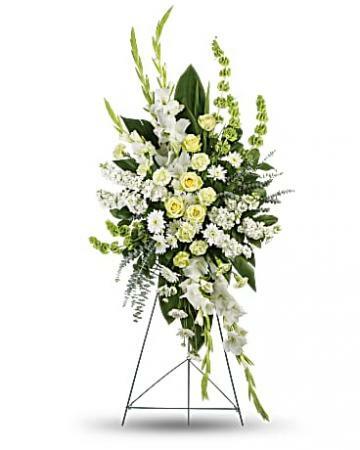 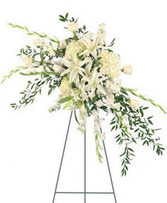 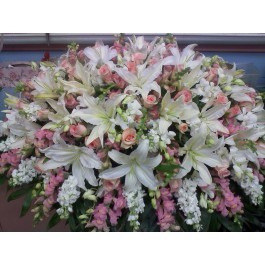 An all white funeral flower arrangement in container featuring roses, lilies, orchids,lisianthus, and more. 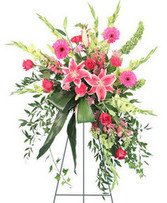 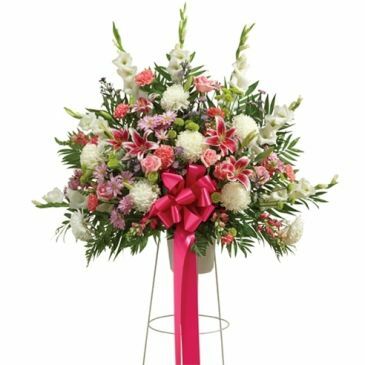 Elegant Casket Spray in shades of pink and white and lush greenery. 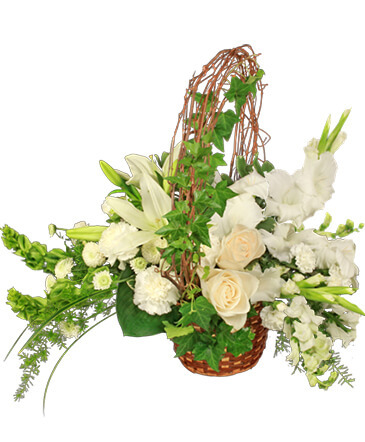 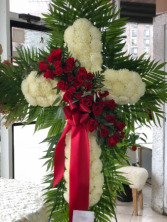 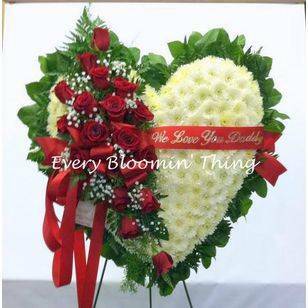 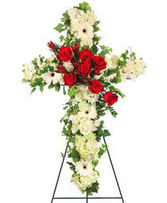 Handcrafted and designed with love and sympathy.